Imagine this: Someone writes an informative blog post entitled “3 Ways to Start a Budget-friendly livestream for your Church”. The piece can benefit communication directors and other ministry leaders, but there’s one problem; the writer posts the article on her Facebook page but doesn’t share it. She has other writing projects to complete and doesn’t have enough time to share her content. Because of this, people who could learn from the post miss out on key information. Coming to the rescue are Content Distributors! These are digital missionaries who love to share what they enjoy online. If they read a post, see a graphic or watch a video that benefits them, they simply can’t resist the share button. They tag dozens of people in the post, retweet a piece of content and share videos on their friends’ walls. The share icon gives them more than a buzz – they receive satisfaction knowing that they just gave someone an opportunity to digitally consume a life-changing piece of content. 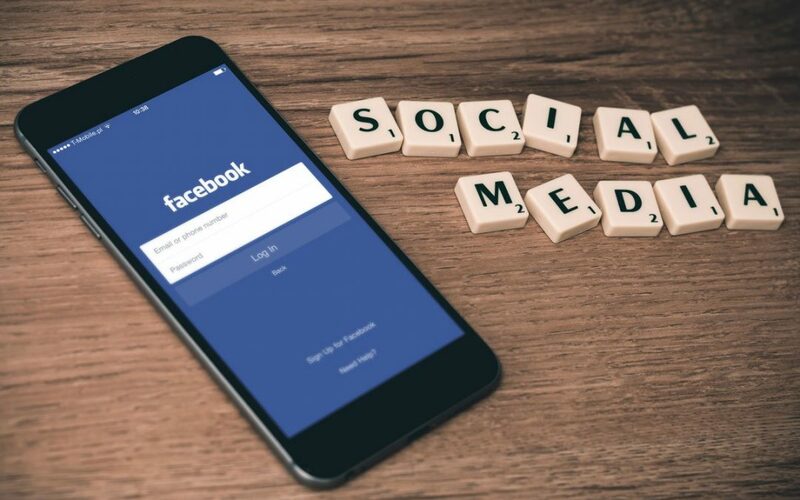 Without content distributors, you probably would not come across the great things on your Facebook page or other social media sites. Moses is a classic example of what a content distributor does. God created the content (The Ten Commandments on tablets of stone), Moses took the content from God and he shared it with an entire nation. He knew that the work God produced would strengthen the Israelites as a people. Digital disciples spend their time sharing and distributing content they believe will improve a person’s life spiritually, mentally, physically, or emotionally. Jesus Christ had an important message for the Seven churches in the book of Revelation. He relayed the message to John, who wrote the letters, and then passed the letters on to messengers who distributed his work. The Bible doesn’t tell us who took the letters from Patmos to the churches in Asia. What we do know is that these messengers risked their lives. At the time that John penned this content, Rome was annihilating anyone who declared faith in Jesus Christ. Content Distributors have a passion to share good content (Good News) no matter the cost. Although digital disciples are dedicated to spreading the Gospel, I want to point out the dark side of content distribution – the side digital disciples should avoid. The couriers in the story of Esther is a prime example of what not to do as a content distributor. Haman had the scribes make a decree (content) and the document was copied and sent out to the nations. The distributed content resulted in mayhem. The content called for the complete destruction of a people group. A lot of pain online is the result of someone sharing a post, tweet, or video that should not have been distributed. The story of Justine Sacco (content creator) and Sam Biddle (content distributor) is a classic example of how easily life can uproot when these two categories work perfectly but with wrong motives. As a digital disciple, share that which honors and glorifies our Lord Jesus Christ. HOW DO I KNOW IF I’M A CONTENT DISTRIBUTOR? Do you like sharing materials that you find interesting on social media? Do you frequently forward links to blogs, videos, or articles you think might be useful to your friend circles online? Are you quick to click the share button after you’ve watched or listened to something inspirational or informative? If you’ve answered YES to these questions, you may be a content distributor. As the Holy Spirit leads you, you will clearly see if this is your area. 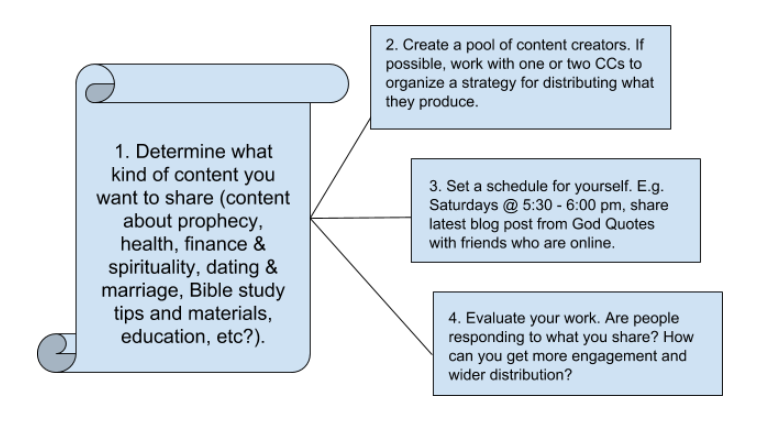 HOW TO GROW YOUR MINISTRY AS A CONTENT DISTRIBUTOR? Now, that we’ve determined which digital discipleship category you’re in, let’s explore how you can be more effective in this area. Do you think you’re a Content Distributor? Check the next blog to learn about Content Engagers. Don’t miss out on a major conference planned for digital disciples!